Bruce Springsteen's Broadway Show Is Headed To Netflix The Boss' Tony-winning, autobiographical, one-man stage show is coming to the streaming platform in December. Bruce Springsteen, performing in "Springsteen on Broadway" in an undated photo. Netflix announced on Wednesday that it will launch its version globally — vastly opening up the potential audience for "Springsteen on Broadway," considering that the streaming service is now available in more than 190 countries. 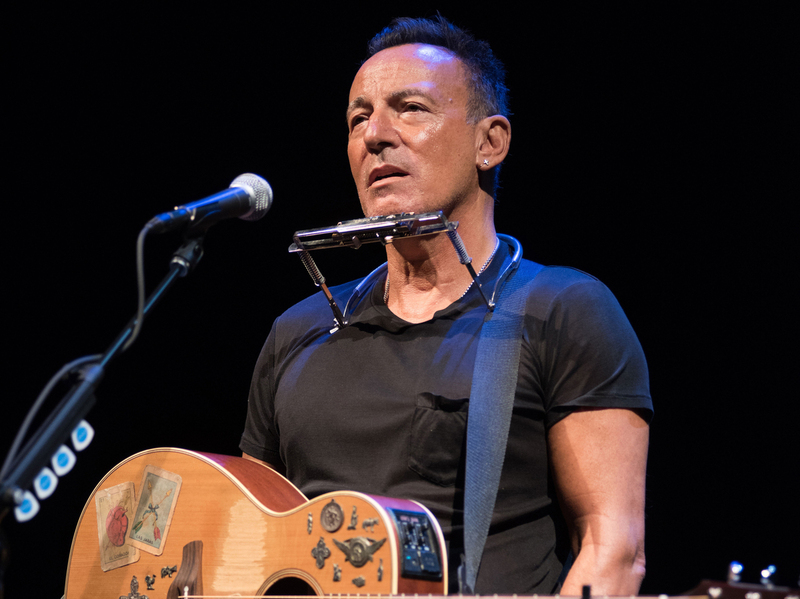 "Springsteen on Broadway" began in previews in October 2017, and is scheduled to close on Broadway, after a planned 236-show run, on December 15 — the same night that the filmed version will launch on Netflix.